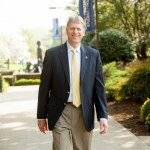 Southern Wesleyan University President Dr. Todd Voss will chair SCICU’s Council of Presidents through August 31, 2016. He is filling the unexpired term of Dr. Colleen Perry Keith who becomes president of Pfeiffer University on July 1 after leading Spartanburg Methodist College for six years. Dr. Voss has been president of SWU since 2011. Prior to moving to Central, he was executive vice president at Indiana Wesleyan University and previously served on the staff of West Virginia University, Western Michigan University, and Michigan State. Voss is a member of the Development Committee and previously served as an at-large member of the SCICU Executive Committee from 2012-2014. As Council Chair, Dr. Voss joins the Nominating Committee and Executive Committee. The next meeting of the Council of Presidents is October 6 prior to the fall meeting of the SCICU Board of Trustees at Newberry College.